Too many gadgets in your life? Smartphones? iPods? Printer? Tablets? External HDs? Yeah, the list goes on. What you need is a massive port—the ORICO M3H73P ($50). 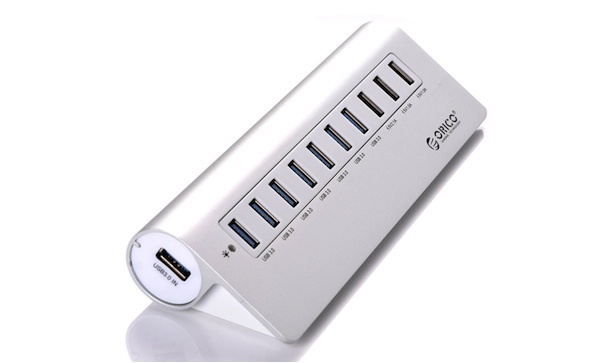 It comes with seven USB 3.0 ports, and a further three charging ports. Plug it into the wall or your computer, and you’re good to go.